On the occasion of Fort Lauderdale International Boat Show Viareggio Superyachts announced a new expedition yacht project in collaboration with Hot Lab studio. 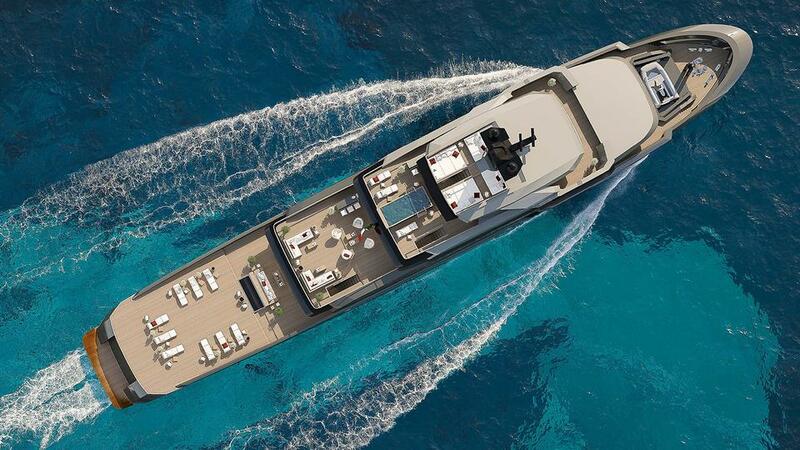 The Italian yard, specializing in high caliber, “eco-friendly” superyachts, teamed up with the Milan-based design studio, to deliver a 67-meter steel and aluminum build with a beam of 11.6 meters named Explorer. With her chunky hull and classic bow, the project resembles a workboat or a research vessel both visually and from the technical standpoint. “The Hot Lab 67m Explorer by VSY presents all the most demanding requirements in modern yachts, but is built around a concept that is very faithful to the original explorer yacht concept,” explains Michele Dragoni, a partner at Hot Lab. The yacht features a far forward construction, leaving room for gear in the aft part of the boat. For safety purposes, deck hardware goes beneath the deck surface, occupied by a vast beach club with sunbeds and sofas. However, if necessary, this whole area can be turned into a provisional helicopter pad. The beach club has a foldable full-beam swimming platform attached to it, which allows doing without a conventional staircase. The boat boasts an elevator to provide convenient access to her four decks, an infinity pool, Jacuzzi, gym and two wing stations, or foldout balconies, overlooking the water. 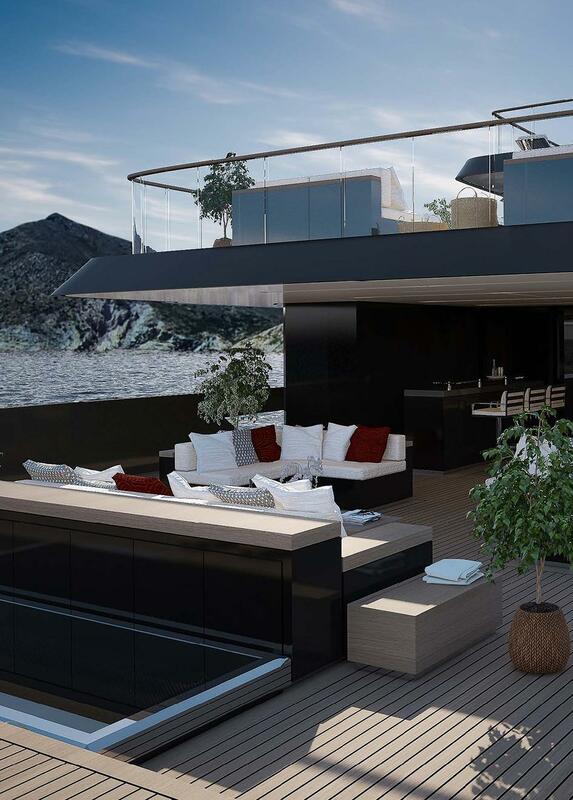 The project offers a choice between a six-cabin or a seven-cabin interior layout by Hot Lab designer Enrico Lumini. Both of them will provide accommodation for 15 crewmembers and the captain. The master suite on the upper deck includes an owner’s cabin, two bathrooms, and a private study. All living areas are flooded with natural light coming through panoramic windows. Complying with ABS standards, the 67m Explorer will have Caterpillar power and a station-keeping system. She should also see a range of 5,000 nautical miles at a speed of 12 knots. Explorer is the third project by Hot Lab introduced this year at the FLIBS. Two other ones are the 38m and 41m V-Line models currently under construction at Baglietto shipyard.